Before I jump to the punch line and tell you what I believe, let’s spend a few minutes investigating some of the prophecies that have been associated with the 2012 event.. And, take a look at as some of the theories describing what is believed will happen. The Maya created a number of different calendars to record the passage of time. One of them is called the “Calendar Round“. We learned about this calendar from a book, known as the Dresden Codex. It was spared the burning frenzy of the early Christian priests in Mexico. The Calendar Round is made up of two separate calendar systems used by the Maya. The Tzolk’on or 260 day Sacred Calendar and the Haab, the 365 day vague calendar. When combined they form a new calendar that measures 52 years. The Calendar Round can only distinguish 52 years then starts repeating itself. The Mayans needed a more refined dating method. To ensure that dates could be identified over these extended periods, the Maya devised the “Long Count” calendar. We became aware of the Long Count through the study of various stelae found in the ruins of many abandoned Mayan cities. The Long Count identifies the number of days that have passed since the beginning of the last Great Cycle. A great Cycle has a length of 13 baktuns or 1,872,000 days (5,125.36 years). Once completed, like the odometer on your car, the calendar resets itself to 0 (zero). The accepted start date of the current Great Cycle, as proposed by Sir J. Eric S. Thompson, is August 13, 3114 BCE. By adding 1,872,000 days to August 13, 3114 BC we arrive at the date December 21, 2012 – the “end of the Mayan Calendar”. “These are the Signs that great destruction is coming. The world shall rock to and fro. The white man will battle against other people in other lands — with those who possessed the first light of wisdom. There will be many columns of smoke and fire such as White Feather has seen the white man make in the deserts not far from here. Only those which come will cause disease and a great dying. The signs, over the years, have been interpreted as follows: The First Sign is the arrival of the white man with his guns. The Second Sign is of the pioneers’ covered wagons. The Third Sign is of longhorn cattle. The Fourth Sign describes the railroad tracks. The Fifth Sign is a clear image of our electric power and telephone lines. The Sixth Sign describes concrete highways and their mirage-producing effects. The Seventh Sign foretells of oil spills in the ocean. The Eighth Sign clearly indicates the “Hippy Movement” of the 1960s. The Ninth Sign was the U.S. Space Station Skylab, which fell to Earth in 1979. According to Australian eye-witnesses, it appeared to be burning blue. Similar to the Long Count of the Maya, each Yuga has a particular characteristic. The Satya Yuga, for example, can be roughly translated as the “Age of Truth”. It is sometimes thought of as the Golden Age of Man. During this age, goodness and high ideals ruled supreme. Human intelligence and consciousness were at their peak. After 1,728,000 years of enlightenment we entered the Treta Yuga. During the Treta Yuga, there was a fall in man’s spiritual consciousness. Moral and ethical ideals began to decline. As we moved into the Dwapar Yuga, man’s level of consciousness was now 1/2 of where it was during the Satya Yuga. It was during the Dwapar Yuga that man began using what he knew for his own personal comfort regardless of its impact on others. According to the texts, during the final age, the Kali Yuga, man experiences a total loss of spiritual awareness. Trapped in spiritual darkness, we can only comprehend our physical bodies and the objects within our physical world. Meaning “Age of Vice”, the Kali Yuga is characterized by strife, discord and contention. Evil and dishonesty has replaced the truth found in the Satya Yuga. In the Hindu Text, the Vishnu Purana – thought to be written somewhere between 800 and 300BCE – we find a detailed description of the Kali Yuga. Here are a few excerpts from this document. Other popular theories include the Rapture which is found in the Book of Revelation. According to this theory, the Rapture begins with “the saved” being taken up and off the Earth. In the movie “Left Behind”, these individuals just disappear, leaving the unworthy behind. Once saved, Armageddon can begin in full force. A war between good and evil follows and finally Jesus, flying in on his cloud, will return to end the fighting. Associated with this theory (although not supported by fundamentalist Christians) is the belief that it is not Jesus who brings about the end of Armageddon, but aliens. It is these same aliens who transport the worthy off the planet and save them from Armageddon. 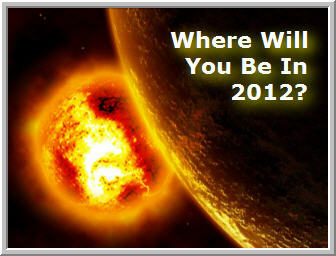 The final theory associated with 2012 is that of ascension. The Rapture describes saving individuals from an upcoming worldwide catastrophe. In this scenario, the person is present on Earth one minute and gone the next. Ascension theory is something like presented in the TV series “StarGate”. The character Daniel Jackson ascends and becomes one with the Ancients. The concept of spiritual ascension is associated with a number of spiritual beliefs and practices. Through self transformation, we as humans would no longer need our physical bodies and will transcend into a higher plane of being. Proponents of this theory are unclear if ascension will happen December 21 or if it is the process of ascension will begin on that date. In any case, this one sounds pretty good to me. Let’s return to the Hopi Prophecies. According to their prophecies, it is the fulfillment of the identified events which will indicate the beginning of the Fifth World. Compelling as they are, like the prophecies of Nostradamus, we are left with the question… Are we making assumptions about their true meaning? What has been suggested as the fulfillment of the prophecies, is on face, value very persuasive but we will never know for sure. There are also problems when you factor in the Hindu Yugas. The Kali Yuga is said to begin on the day Krishna died in 3100 BC. The 3100BC start date of the Kali Yuga does make you contemplate its connection with the dates given for this cycle in the Mayan Calendar. What many 2012 supporters do not tell you is that the Kali Yuga is identified as lasting for 432,000 years. If you subtract the number of years that have passed since the start of the Kali Yuga, we still have roughly 427,000 years to go until this Yuga ends – and the universe as we know it will disappear. The math does not add up to any time in 2012. As you can see, there really isn’t anything that directly supports the December 21, 2012 date. It is really just a bunch of smoke and mirrors. The net effect has been that many of us are afraid of what may, or may not, happen on that date! If you are worried that the world is coming to an end, let it go. Take a deep breath and open yourself up to contemplating a bright future ahead. Before I go, I would like to ask each of you for one thing. When you open your eyes on the morning of December 22nd, think of me, this message and say thank you. MAHABHARATA & ‘Bhagavad Gita’…why was it necessary?